From slap-bass rock'n'roll joy to psych guitar freakouts and ballads of dejection, MOJO picks 20 glorious Elvis highlights from his most undervalued albums. 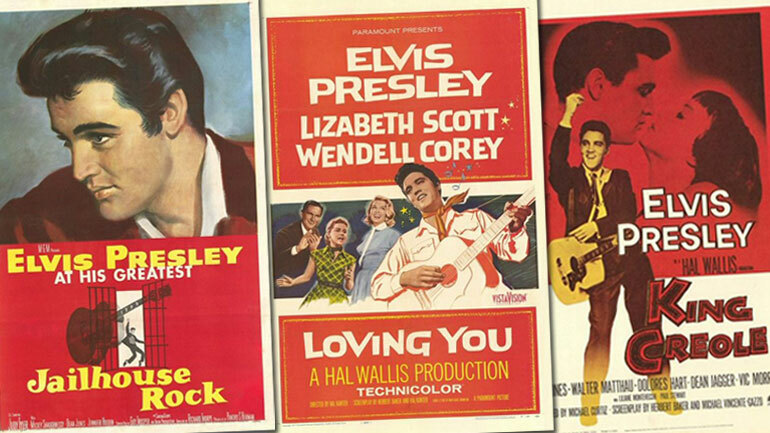 On January 6, Sony Music released The Perfect Elvis Soundtracks – a 20 CD box set featuring 17 original Elvis Presley soundtrack albums and three new compilations. Covering the years 1957 to 1968, the Elvis box has been released as part of the label's Perfect box-set series, which recently gave us The Johnny Cash Collection and The Perfect Columbia Jazz Collection. Yet while it's easy to tag such a superlative as 'perfect' onto the works of The Man In Black or the albums of Bill Evans, Art Blakey and Miles Davis, it's a little more difficult to apply the adjective to LPs that feature such disregarded works as Old Macdonald Had A Farm, Yoga Is As Yoga Does and Fort Lauderdale Chamber Of Commerce. With that in mind, MOJO felt the need to reclaim Elvis' movie years as a period where genius invention and accidental wildness often sat right alongside the lacklustre ballads and contractual honkers. Hold on tight though, because things are about to get very weird in Elvis land.